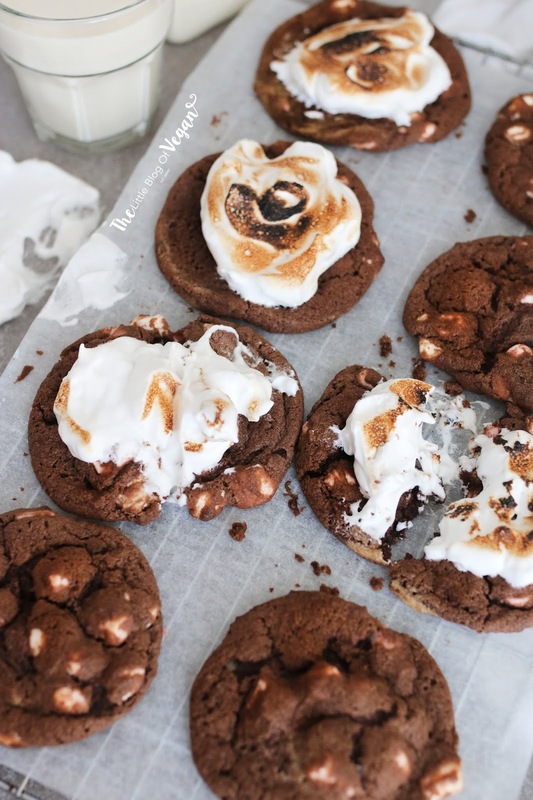 These chocolate cookies are cram-packed with marshmallows, even topped with a quick & easy vegan meringue- YUM! I am a sucker for cookies, especially when they are crisp on the outside and gooey on the inside. 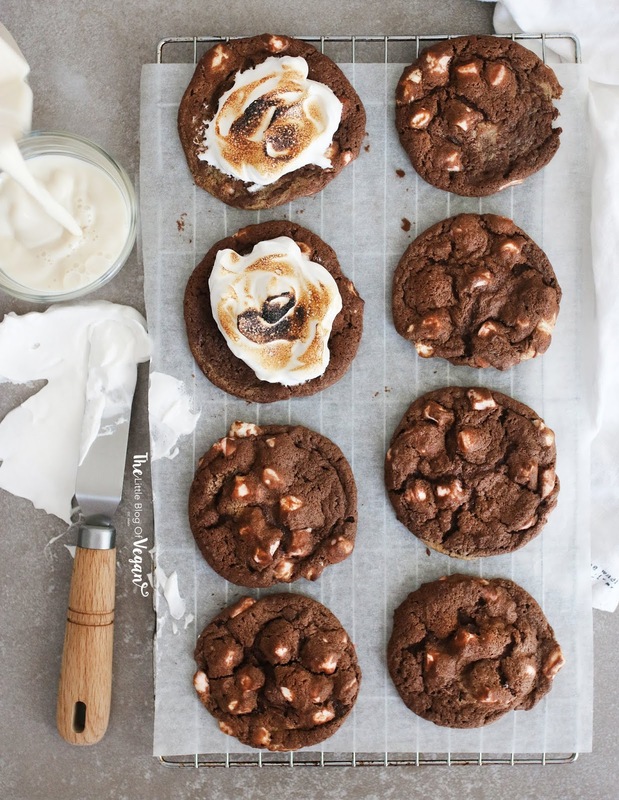 These cookies replicate your bakery style chocolate marshmallow cookies perfectly! These cookies are just that! I've even shared them with 'non-vegans' and they couldn't tell they were vegan which is amazing! To help make these cookies come to life, I used my dreamy oven from DeDietrich. It's the perfect oven for a baker/chef. It's really the Tesla of ovens- haha! 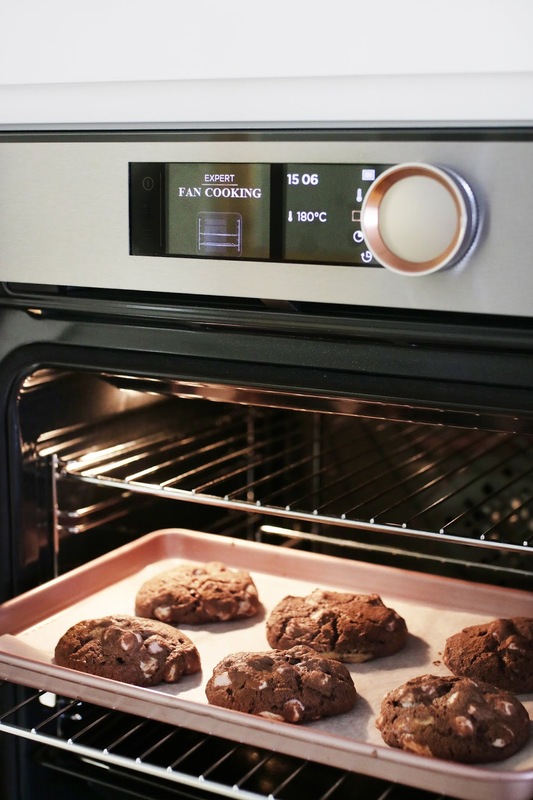 It's easy to use and produces the perfect bakes each time. It's a joy to use and I highly recommend if you're looking into getting yourself a new oven!! These cookies are ultra quick & easy to make and only take 10 minutes to bake!! 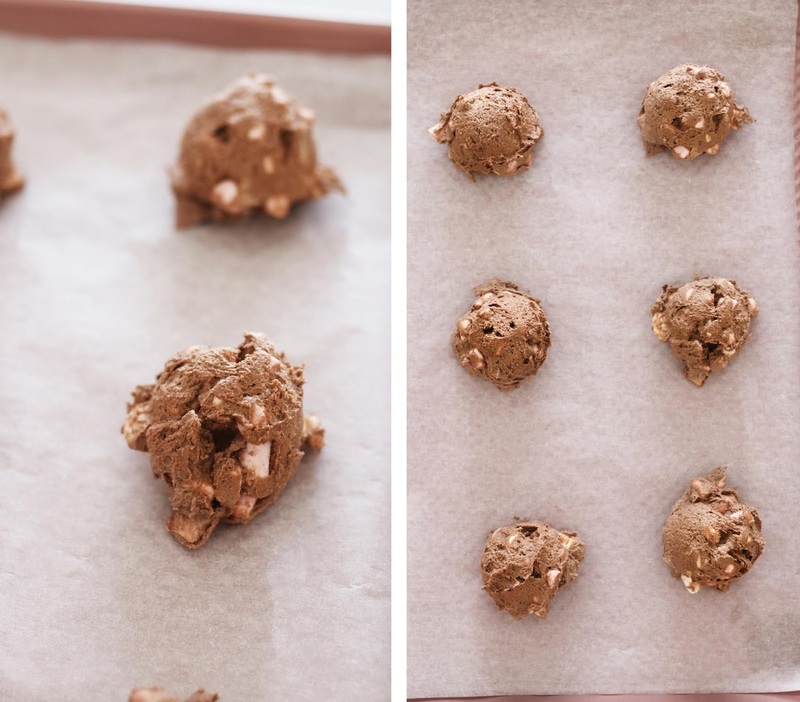 This is an amazing recipe which I am sure will be your 'go-to' cookie recipe after trying it! They are going to make you very popular in your household, trust me! 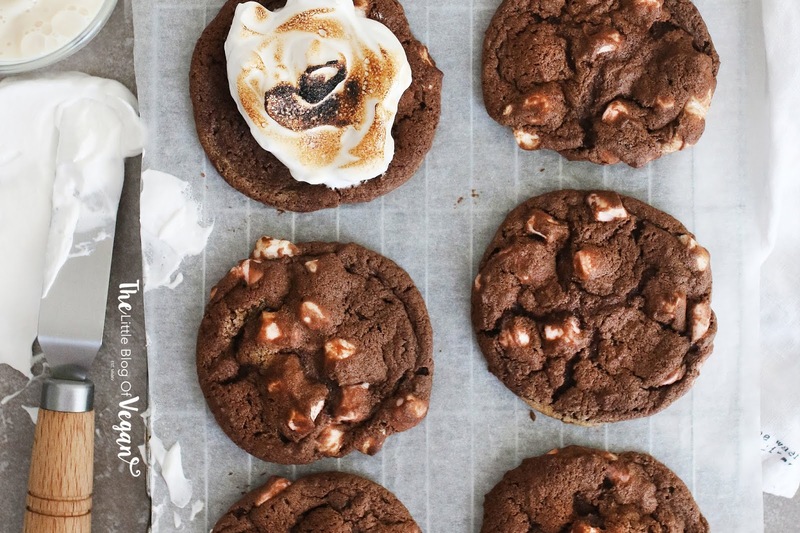 These are cookies NOT to miss baking...they're incredible. Step 1- Preheat your oven to 180 degrees c and line a baking tray with greaseproof paper. 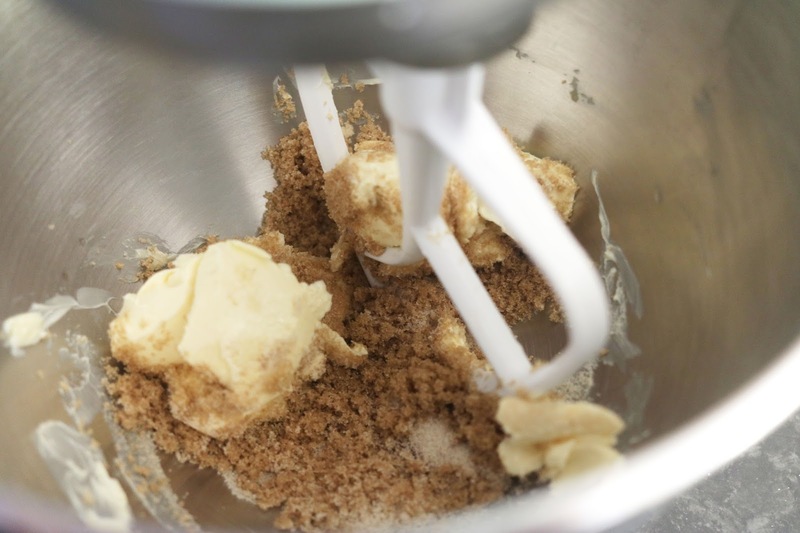 Step 2- In a mixing bowl or stand mixer, cream together the butter and sugars until light and fluffy. Step 3- Add in the bicarbonate of soda, baking powder, vanilla extract, chickpea brine and salt. 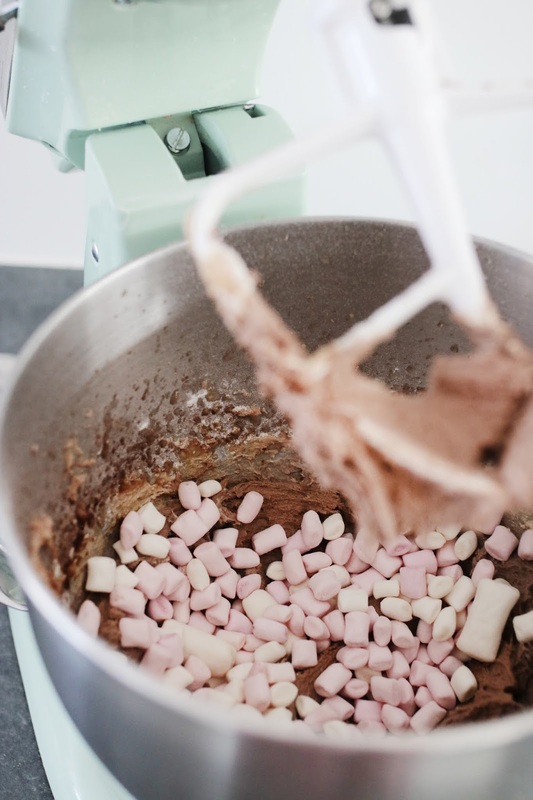 Lightly whisk together until combined. I use a paddle attachment on my stand mixer. Step 4- Add in the flour and cocoa powder, and mix until a dough forms. If the dough is too wet, add in some more flour. Step 5- Fold in the marshmallows. 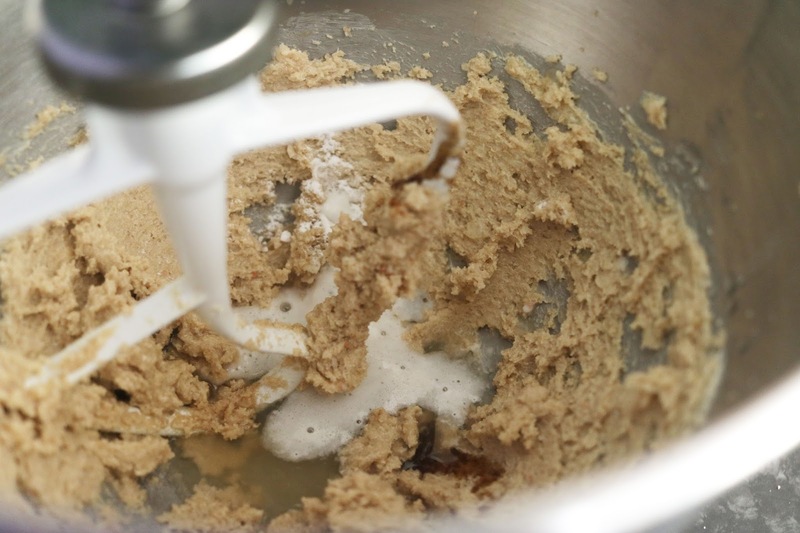 Step 6- Scoop around a tablespoon of dough and place it onto the lined tray. Space the cookies out as they will spread in the oven. Pop the cookies into the preheated oven and bake for 10 minutes until the edges of the cookies are golden in colour. Step 7- Allow the cookies to cool for around 20 minutes before serving as this makes them crisp up. Store in a sealed container and enjoy within a few days. 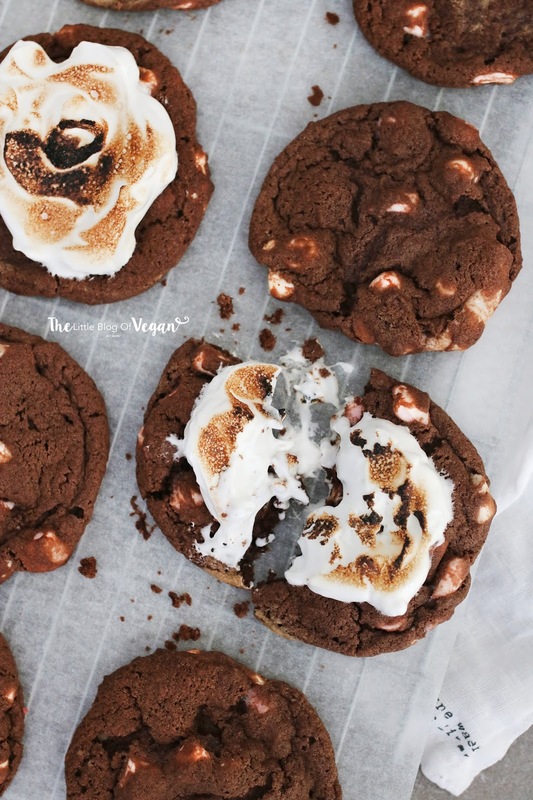 I served my cookies with some toasted marshmallow meringue, it compliments to cookies beautifully. Shop the whole 'DeDietrich' range here. This is a paid collaboration with DeDietrich. A huge thank you to DeDietrich for collabing on this recipe with me! 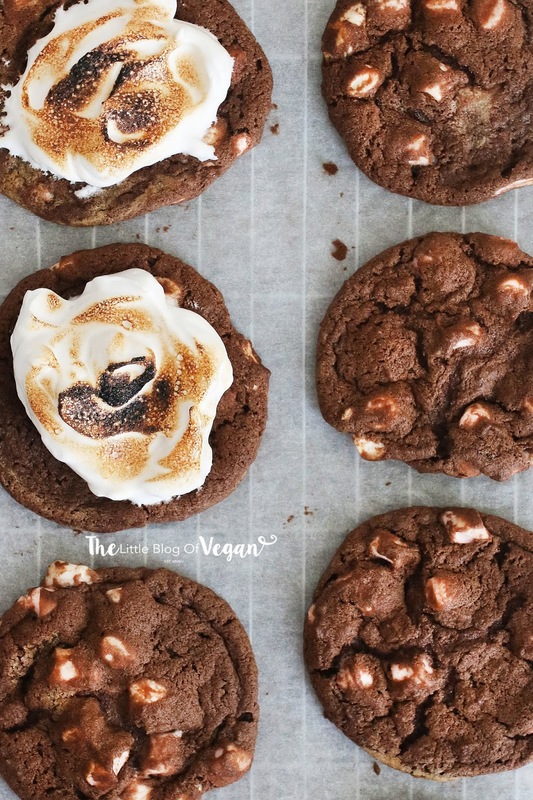 I saw this post on Bloglovin and didnt see that it was you that posted it and I had to click on it in the hopes that I could veganise the recipe!! SO HAPPY that it already is vegan haha, these look so good. Can't wait to try them!